Plants are food, medicine, prayer offerings, and tools of ritual, all of which are empowering to the body, mind and spirit. We depend on plant food – medicine to nourish the temple that houses the spirit and our emotions are the communication between that temple and spirit. A strong resilient temple houses a happy spirit. Whenever we consume plant life we are also consuming life force or life vibration, and this in turn nourishes the life force with in. There are more and more people using herbal remedies and consuming of original foods which is nourishing or awakening spirit and as a result conscience planetary changes. Creation (nature) is so perfect. We know that the body does not utilize inorganic minerals. If we could then we would be able to eat soil for nourishment. Pretty silly.Instead, plants are the link. Plants gather inorganic minerals from the earth through their roots, these minerals travel up the roots to the leaves and as the rays of the sun penetrate the leaves, a certain magic occurs called photosynthesis. Inorganic minerals transform into organic minerals full of electro-magnetic energy. When we ingest these plant forms we become fully charged temples filled with life force making for positive thoughts and happy spirits. 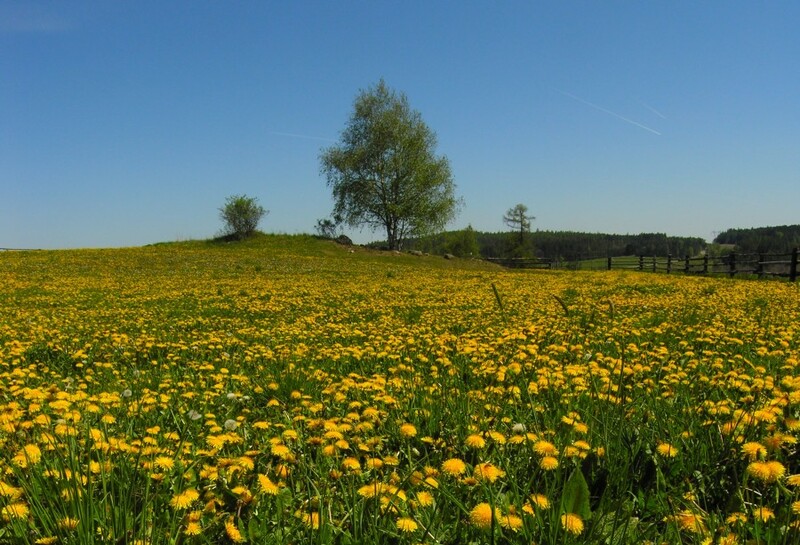 Dandelions are a good example of food – medicine. Ever wonder why the earth is covered in dandelions? Well to start with, their leaves and roots are full of Potassium, Vitamin A and Calcium with lots of other minerals and vitamins as supporting nutrients and it is the most prescribed plant remedy through out global history. This plant is used as a vitamin mineral supplement, preventative remedy and curing remedy in chronic and degenerative conditions. The energy of Dandelion is drawn deep from with in the earth and will penetrate deeply into our being, giving us understanding of our deeper side. The sun extracted massage oil made of the yellow flower, has the ability to allow the muscular structure to relax, letting go of tension and will also influence the mental body, reducing stressful thought patterns. Dandelion also offers insight into cycles of season or life process. After the yellow flower, there comes the white fluffy puffball full of ripe seed, which explodes, letting go of pent up energy, planting new seeds to start the cycle again. The energy of the puff is letting go and the Dandy lion shows us how, surrendering as a breath of air. Dandy lion’s positive qualities are of a dynamic, effortless energy and lively activity, balanced with inner ease. Those who appreciate the dandy * lion are those who feel a natural intensity and love for life. Corn, a food medicine, is a staple food for many cultures. It is also given to the earth as an offering of gratitude to Spirit. By using Corn we keep an alignment with the earth, ‘groundedness’. Sage is strong medicine and used in ritual. When burned it has a cleansing effect to the etheric bodies. Sage is purifying, it keeps bad spirits away by making them sick. With this strength, Sage has been preferred through out history to be burned before and during rituals, as well, in the sick room of a patient. Sage has the power to stop milk production! Sweetgrass, on the other hand is also strong medicine. It is so sweet and makes us feel sweetness in our hearts, opening the heart center. No wonder sweetgrass is burned to carry our prayers to Great Spirit. All spirits are drawn to the sweetness of this grass. Burning Sweetgrass with Sage can keep negative energy at bay, allowing positive energy and spirit, protection while relishing in Sweetness. Great Spirit and our First Mother provide all and more than we can dream. By bringing nature into our lives, we allow balance, so our spirits can flourish. When using Plant Source Vitamins and Minerals (using the perfection of Nature), we bring that perfection into the temple of the living Spirit.